iBall is a household name in India because of Indians who have most probably used its computers or accessories. The main reason for this is their low prices even if the quality is not very high. 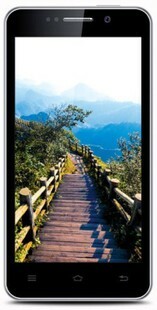 The iBall Andi Panther is a budget-friendly phone with quite interesting features. The first thing you will notice about this device is the thick silver rim. If you want a sleek phone, look away. Andi 5K Panther is one of the cheapest phones on the market that has an Octa-core processor that runs at 1.4GHz. To support this it has 1GB of RAM. It comes with 8GB of internal storage (expandable up to 32GB), but sadly only 2GB is available for usage. For a 5-inch phone the display resolution is very low at 960 x 540 pixel. One good news maybe the fact that the camera surprised us. The images become pixelated when viewed on large screens but for a quick social media post, this phone does a good job. Overall this is a good choice if you want a smartphone for a very low budget. The iBall Andi 5K Panther is priced at INR 3,999.
iBall Andi 5K Panther full specs and reviews as of Apr 2019. Buy it here!